SKIN AND COAT SUPPLEMENT – VET SUPERIOR CONSULTANT CO.,LTD. 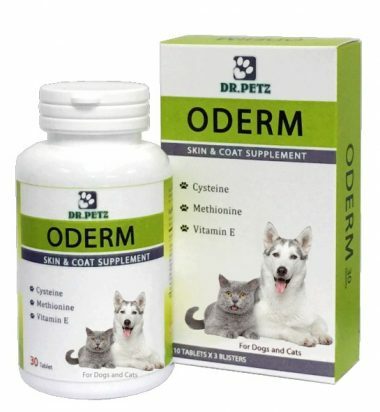 DR.PETZ ODERM contain high absorbable Zinc and Copper amino acid chelate and Vitamins which promote healthy skin. 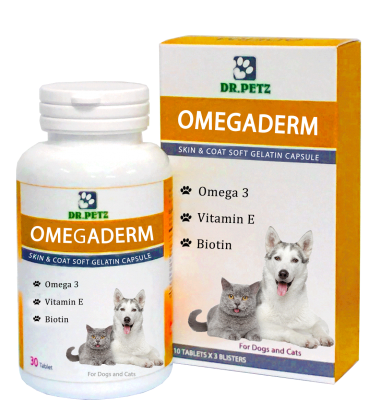 DR.PETZ OMEGADERM contain Essential fatty acid (EPA, DHA), Astaxanthin, Biotin and Vitamin E which promote healthy skin.